You have heard of eCommerce, but have you heard of Knowledge Commerce? Knowledge Commerce is the monetization of expertise through online teaching or courses. You may have valuable knowledge. Wouldn’t it be nice to make a living through sharing it? 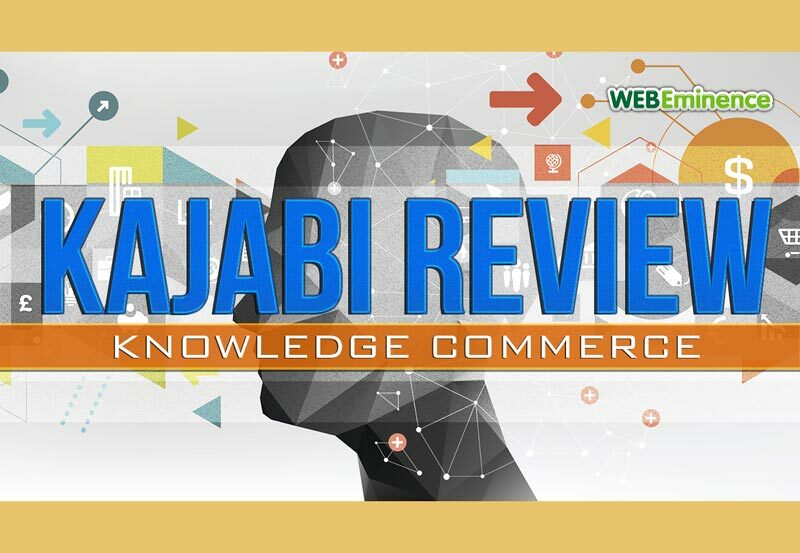 I have been asked about building online learning sites by quite a few people, and since Kajabi, one of the most well-known Knowledge Commerce sites available, reached out and asked me to review their platform, it seems like a good time to discuss it! While it is true that you could set up a WordPress site for online learning courses, building a WordPress site isn’t always simple, especially if you need to choose a design theme, install a learning management plugin like LifterLMS, setup payment processing, and then put it all together to for the complete package that works for your visitors. That’s where Kajabi truly stands out. It’s an all-in-one solution for knowledge commerce that will put all the pieces together for you. It’s easy to get started too since they offer lots of help including walk-through guides and an achievement based system to help you walk through milestones lsuch as “creating a post,” “uploading a video,” etc. Obviously, your website is a big piece of knowledge commerce and it’s how you will interface with your students and customers. Kajabi gives you lots of of options in creating your website while also keeping it simple. It reminds me of some of the popular DIY website builders. You can customize your design theme without worrying about knowing anything about coding (although you DO have the option to edit the code if you’re more savvy). The changes you can make are fairly basic – text, images, colors, etc., and also customizable passwords or public comment options for each page. The changes you make here can be page-specific or affect the entire site. Kajabi only has one theme but it can be customized in many ways. It’s basically like working from a blank canvas but they also provide many pre-built templates so you don’t have to start from scratch. In Page Builder, you are able to create standalone pages. 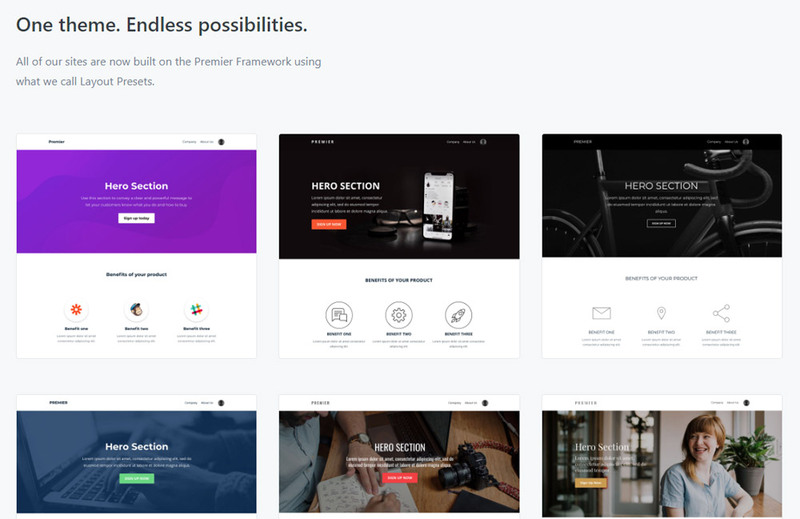 You have some options here as well, as Kajabi offers multiple frameworks that can be customized at the same levels as your main page. The Page Builder option is especially helpful if you want to experiment with different landing pages for your products. 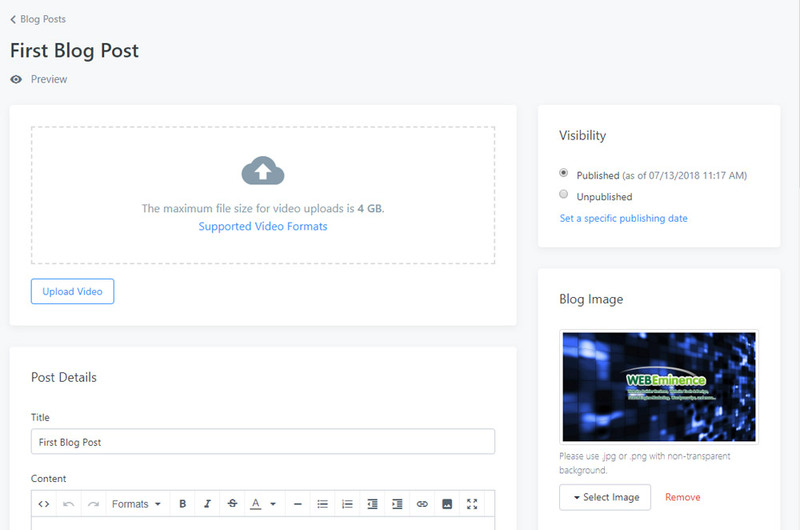 There is a fairly standard blog setup, but it is still a fundamental feature to have for creating new content and updates for your subscribers or potential customers. Like eCommerce, Knowledge Commerce requires monitoring to ensure your small business is thriving. This tab offers simple stats on Purchases, Revenue, Sale Reports, etc. If you have Affiliates, meaning you are paying others for outside promotion, you can track that money as well. You’ll definitely want to know how much money is coming in versus going out, and these analytics make it fairly easy. The Products tab is where you’re going to be spending the majority of the time building your site. This is where you add your courses and all of the content that comes with it. This is where the knowledge leaves your brain and goes into your products and courses to create real value! Whichever course you chose, Kajabi will guide you through the process of setting this up as well. 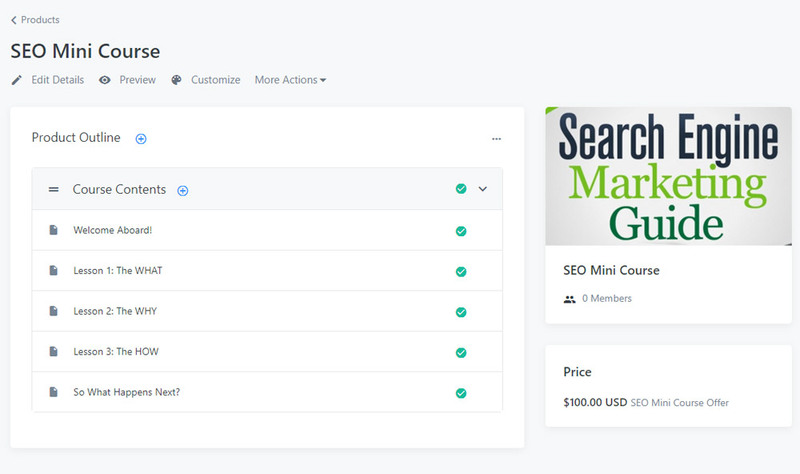 Building course pages is a bit similar to building your blog pages with Kajabi doing the work of linking your course to your established eCommerce function. Beyond the content, they are other ways to customize your courses as well. You can create offers or coupons to sweeten your deals. Plus, you have plenty of post-purchase options like automatically subscribing users to a newsletter or notifying team members when someone has signed up. With Kajabi’s Marketing features you won’t have to simply rely on luck to pull users in. Kajabi realizes your success will be dependent on your marketing and not just your content so they offer you some tangible help in the marketing section that can actually move the needle. Pipelines – Pipelines are basically specific pathways through your website designed to take a specific angle with a certain segment of your visitors. Let’s say you offer human resource training that works for all industries but you plan to do an email blast or direct mail campaign to 1,000 healthcare companies to pitch your course. You might create a pipeline that highlights your course and the specific way it can help HR personnel in the healthcare industry. More targeted marketing should yield better conversion rates and more revenue! Read more about Pipelines. 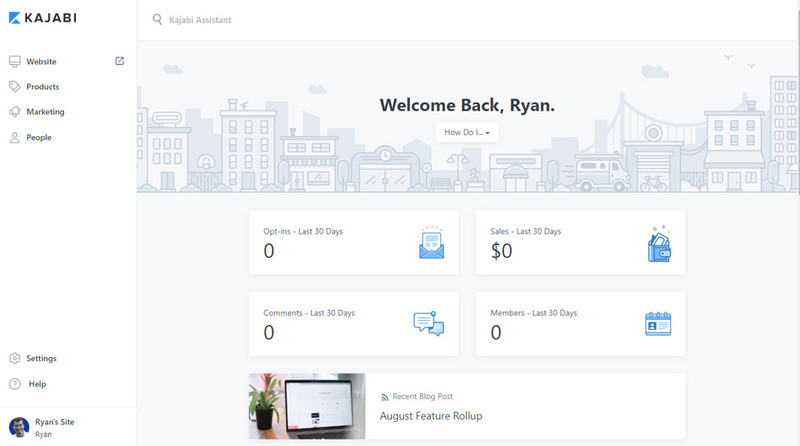 Email Campaigns – Kajabi has built-in email marketing so you don’t need to worry about connecting a 3rd party platform like Mailchimp or Constant Contact. With email campaigns you can create email broadcasts and email sequences that are sent out to people who subscribe to your different lists. Automations – Automations are what makes Kajabi come alive and become very powerful. With Automations, you can create logical and automatic flows for your visitors that will tailor the marketing and experience especially for them. For example, you could have your students fill out a form and based on their answers, their entire experience can change on your site. You can send them different email sequences, offer different discounts, or register them for different events. The possibilities are endless with Automatons. Under the People tab, you can manage all the people who have subscribed to your program or students who have made purchases. Hopefully, you’ll need these tools because you are pulling in so many people! Apart from the All People tab that lists all the people within your platform, there are two other sections. 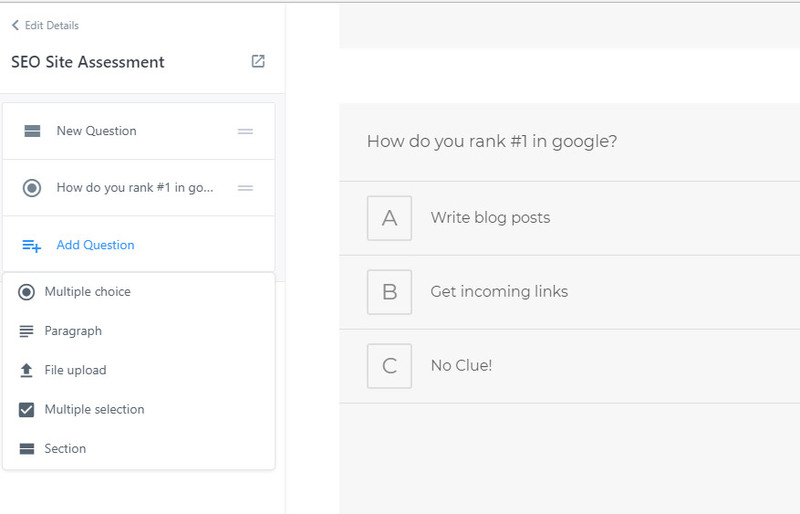 These are custom tests that will allow you to quiz users on the quality of your course. This is a helpful function for determining whether or not your courses are having an impact and if users are retaining what they have learned. Getting an army of people to sell your courses is the key to success for many sellers of knowledge. Kajabi has an integrated affiliate setup so you can easily signup affiliates and manage their commissions. Kajabi Pricing – Is It Worth It? One thing we can’t leave out is pricing. Your bottom line depends on it! So… is it affordable? Kajabi bills monthly and, as of this writing, is $129 a month for the BASIC package. As you increase the package, you obviously increase the price but will get additional perks like the ability to add more products, send more marketing emails, and host more active users. 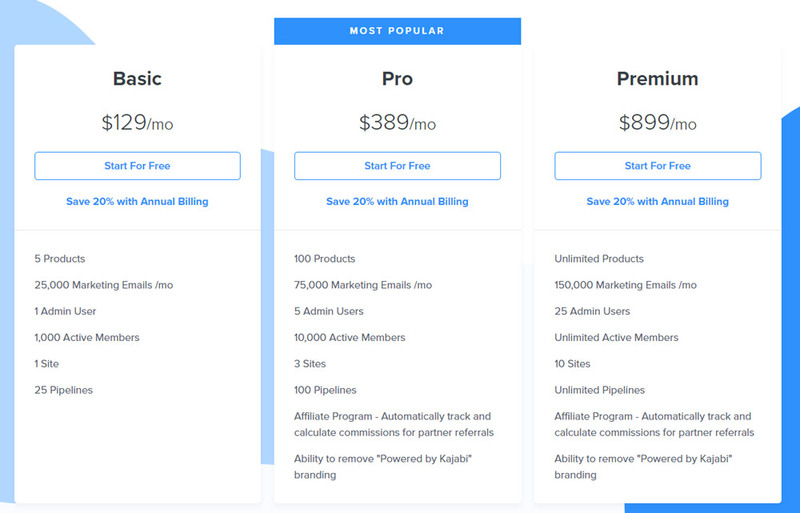 Also, keep in mind, you can’t access the Affiliate program without upgrading to the PRO package at $389 per month. Ultimately, it isn’t cheap based on market standards but I believe it is an excellent value to get started and if/when your business grows upgrading to higher plans will be a no-brainer. Building a site with WordPress and hooking up a LMS plugin would probably be cheaper. With Kajabi, you’re paying for the ease of having everything in one place. Time is money and you’ll likely spend a lot more time pulling everything together to create a site that will be cheaper in the long run. 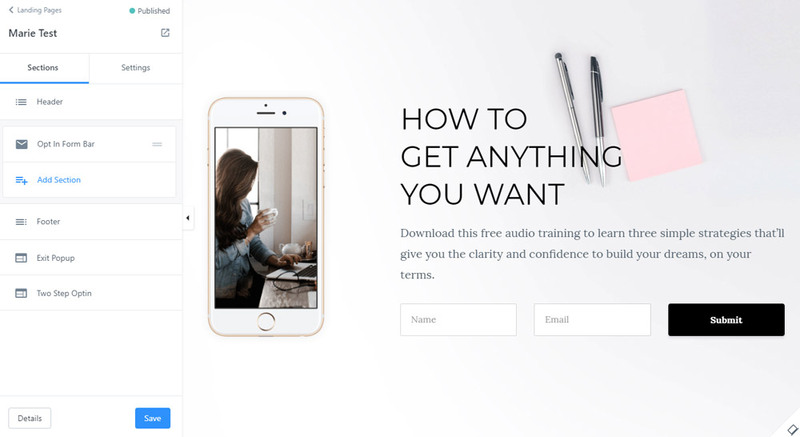 If you are a beginner to building websites and marketing online, I think Kajabi is an elegant solution to get your Knowledge Commerce business off the ground very fast. What are your thoughts and questions? Have you used other LMS platforms? Comment below.